Sheen also briefly reflected on his well-documented public meltdown that began when he was fired from his sitcom Two and a Half Men in 2011. 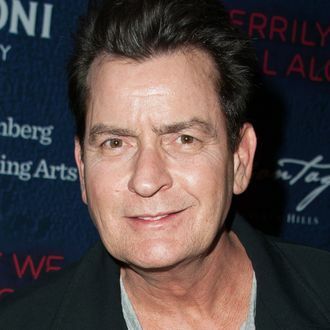 “I was doing way too much testosterone cream,” Sheen explained. “Trying to keep the old libido up. It metabolizes into basically a roid rage. That whole odyssey. That was basically an accidental roid rage. But there’s some good quotes that came out of it, right? There’s a few fun moments. So bizarre, so bizarre, so bizarre.” Charlie Sheen, still winning.